Looking to purchase that mobility product in a hurry, but worried that you could find a lower price if you just had more time? Worry no longer! 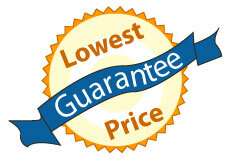 Mobility Superstore offers a 120% Low Price Guarantee. If you find the same item advertised for a lower price within 30 days of your purchase we will refund 120% of the difference. It's as simple as that.